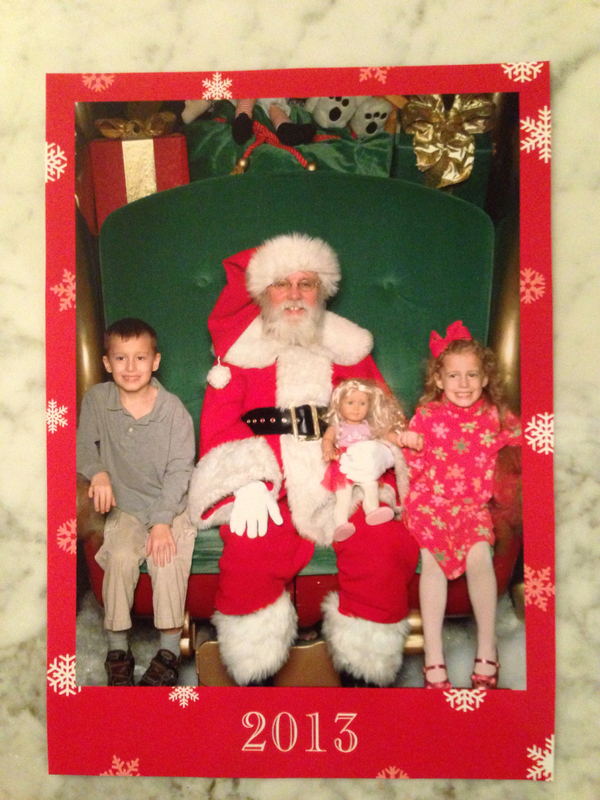 2013 Santa Photo… and, the time when Santa got out of his chair for Autumn. 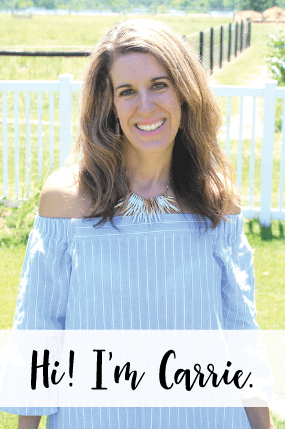 We went to the Mall last Monday and I am finally getting the photo up here on the blog to share with all of you. 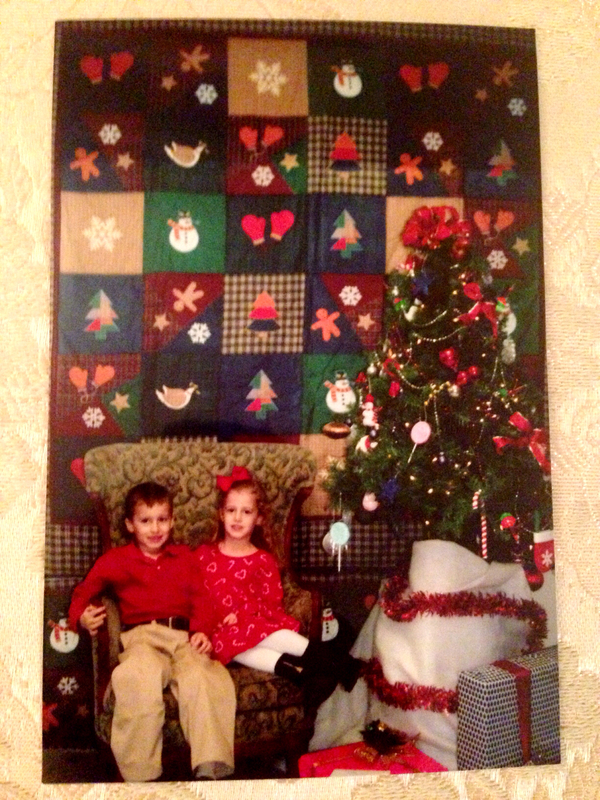 This is the first time in a long, long, LONG time that Autumn has sat on Santa’s lap without crying. Yay!!! She did freak out a little right before and told me she was scared… so, I plopped her down NEXT to Santa and I held her hand. They cropped my hand out of the photo and she smiled! Yay! I took her and Nathan to the Parents Day Out this past weekend at her Dance School and part of the party was for them to sit on Santa’s lap and then decorate a frame for it later. She had me tell the teacher that she would not be sitting on Santa’s lap, because she already sat on the Mall Santa’s lap! 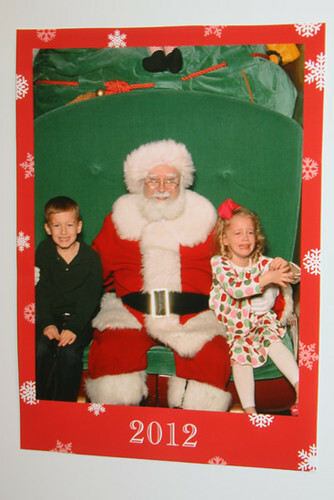 I love her reasoning… so, I came back 3 hours later and was given a photo of her and Nathan sitting in the Santa chairs without Santa. LOL! I did get a photo of Nathan with Santa, though. But, here is a little recap of last year. Autumn did NOT like Santa. No way. Mall Santa, Autumn is crying and holding her hands out for me. AWW! 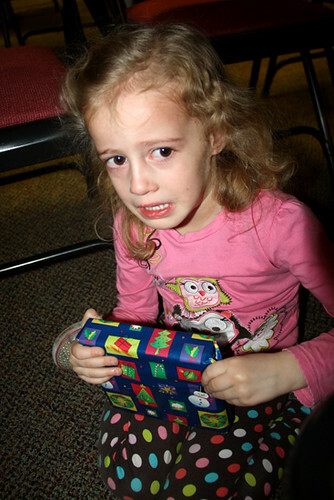 And, the best… Autumn hiding under the table at Nathan’s Scouts Christmas party, because Santa was there! The poor thing! Lol! And, this is why I love this blog so much… I love looking back at these!